How would you like knowing that your money helped fund research that changed lives, or saved them? Would you be willing to support a campus that is more diverse, more welcoming, and more communicative? Do you believe in scholarships? These are all examples of giving at IUPUI, and there are plenty of ways to do it. Chancellor’s Circle funds have greater-than-usual impact because they carry no limitations on how they must be spent. For example, funds might be used to support student success, enhance diversity initiatives, or capitalize on unexpected opportunities. The Welcoming Campus Innovation Fund provides internal grants for projects that will transform IUPUI into a more inspiring destination for faculty, staff, students, and visitors. The Charles R. Bantz Chancellor’s Community Fellowship supports community-engaged research and scholarly activities that reinforce and deepen campus-community engagement and research partnerships that result in meaningful community impact. You don’t have to be rich to make a gift. You don’t even have to pay it all up front. 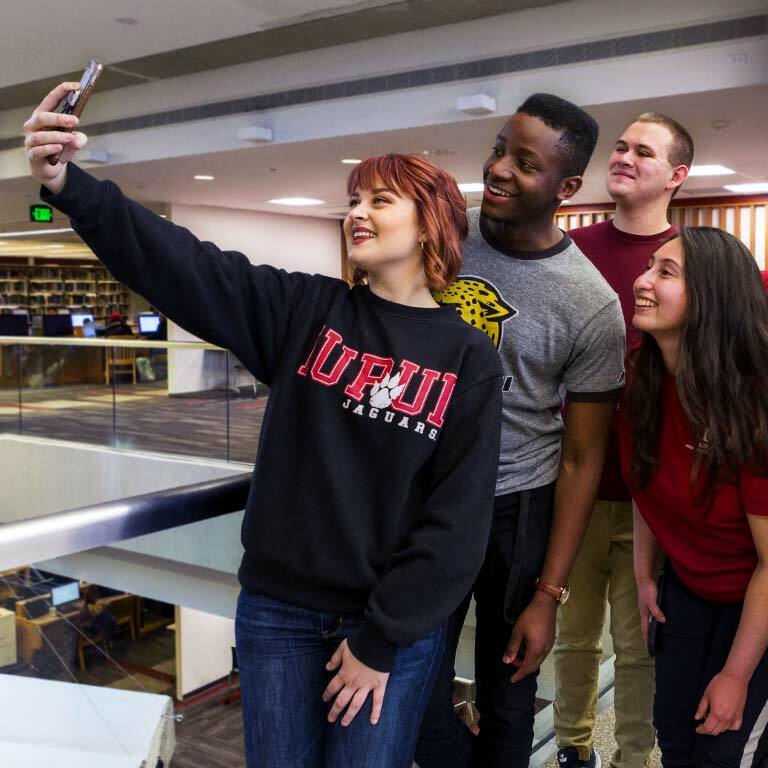 Here are some common, doable ways to make a gift to IUPUI. ﻿Make a one-time gift: Your single gift can support one or multiple funds. There's no limit to your love. Make a recurring gift: The gift that keeps giving. Your gift can recur monthly, quarterly, or annually, starting on whichever date you choose. Make a pledge: Promise to pay a specified amount over a set period of time, and make payments as you go. Show us how you’re celebrating the 50th anniversary of IUPUI by using the hashtag #MyIUPUI on Instagram, Facebook, or Twitter.